Do you sometimes get the feeling people aren’t actually reading your web page copy? The information is clearly on the screen, but it doesn’t seem to be registering with anyone. Well, your instincts may be spot on. But that doesn’t mean you’ve written lousy copy. It might be that you simply haven’t structured and formatted it for onscreen readers. If your #web #copy isn’t structured and formatted for onscreen readers, it probably won’t get read. A little over 20 years ago, usability expert Jakob Nielsen published some controversial research about the way people read on a screen. Using eye tracking technology, he discovered that most people (79%) don’t read on a screen. Not initially, anyway. Because this pattern looks like a capital letter F (well, it does if you squint and tilt your head slightly), it’s often called “F-pattern reading”. Well, as people scan they check for signs that whatever they’re looking for is actually on the page. And if it is, then they’re likely to go back and read the copy in more detail. But if it’s not, then you’ll probably lose your reader. By knowing how people initially scan a page, you’ll know exactly where to put the information that tells them they’re in the right place. Here are four tips for putting your information in the right place, and making it easy for people to see that it’s there. Putting the info readers look for where they look for it helps your #copy get read #Fpatternreading. To put the information your readers are looking for in the right place, you first need to know what they’re looking for. This is where research comes in. You need to know what your readers care most about—what they’re struggling most with now, and what they most want instead. And you need to know the words they’ll use to describe them both. Knowing what your ideal readers are looking for is the key to writing copy that keeps their attention. If you don’t, all the formatting and structuring tips in the world won’t help you get your words read. If you know most readers start by scanning your top few lines, it makes sense to include the information they care about there. A clear, accurate heading that either speaks to your reader’s biggest frustration, or talks about whatever they wish they had instead. A clear, accurate introduction that follows the heading and expands on it. Why should your reader put the time and effort into reading your copy? How will it help them? What will they get out of it? And don’t forget to use the same words and phrases your reader does. Nothing builds rapport like shared language. Once you know what your readers care about, make sure it appears in the page heading #Fpatternreading. Reading something on a screen is usually harder – and slower – than reading the same thing on a printed page. That’s probably why people use an F-pattern approach in the first place. Which is another reason why knowing your readers’ scanning pattern can help you make their job easier. Remember how they tend to look down the left-hand margin, and then out along subheadings? Divide your page into sections using subheadings. Make sure your page isn’t a solid wall of text. Break it up into sections that make logical, intuitive sense. And then write a clear, accurate subheading for each section. Check whether your subheadings make sense on their own. Some readers glance through subheadings without initially reading the copy that follows each one. So make sure your readers can get a sense of how each section will help them purely from the subhead. Frontload each section with the key information. Make it easy for folks who do read beyond the subheadings by talking about the benefits they’ll get from each section in the first sentence. Use white space to show how information fits together. The closer pieces of information appear together visually, the more closely readers assume they’re related. So leave more white space (e.g. an extra blank line) between sections than you do between paragraphs. Use bullet points wherever you can. Remember how readers’ eyes are drawn to bulleted lists? Whenever you have a list of three or more items in a sentence, format them as bullet points. It will break up your text and draw your reader’s attention. Use bolding judiciously. Bolding a phrase (or even an entire sentence) will emphasise the words and make them “pop” for your reader. Just be aware that when you emphasise too much nothing stands out, so limit your bolding to the stuff that really needs it. 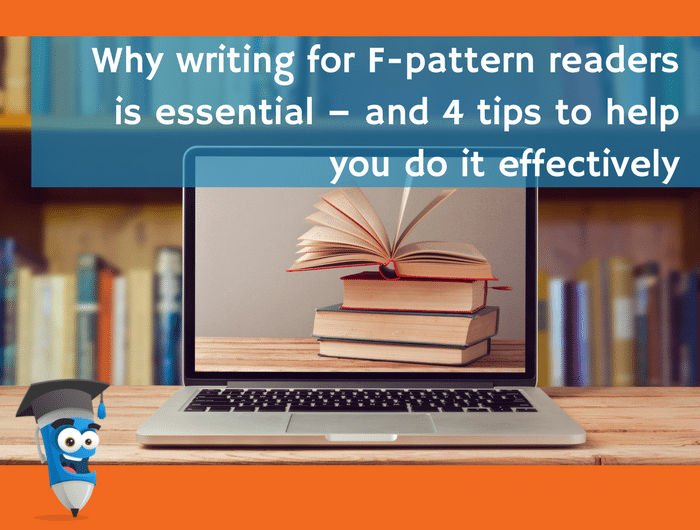 Writing for F-pattern readers can seem like a lot of extra work, especially if you’re more familiar with print copywriting. But once you’ve learned the basic principles behind the techniques, it will quickly become second nature. And putting in the effort will definitely be worth it. 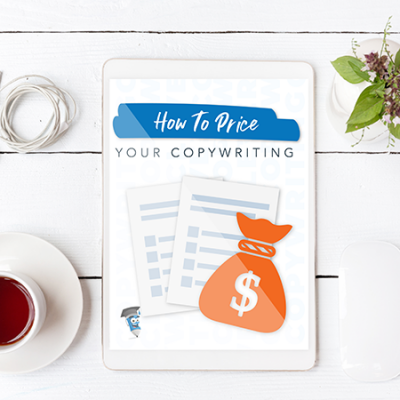 Effective copywriting is all about getting your readers to take action. And they can only do that if they get far enough into your copy to understand why it’s relevant to them. And that means writing the way they actually read. 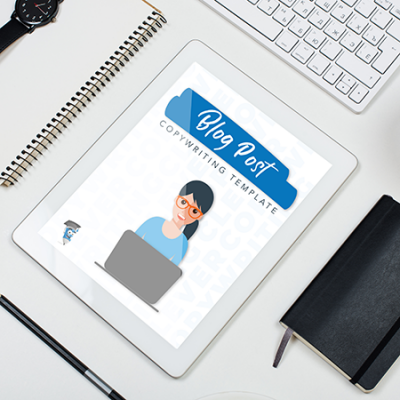 #Copywriting for #Fpatternreaders is more work, but it gets easier. And it’s definitely worth it! Next time you’re reading a web page, think about how you’re taking in the information. Are you following the classic F-pattern as you skim it? How else can you use this knowledge to make your copy easier to read? A great article with useful tips – if you’d like to learn more about F-shaped writing, read this dusty old blog post ‘F is for user friendly content‘ I wrote way back in 2009! 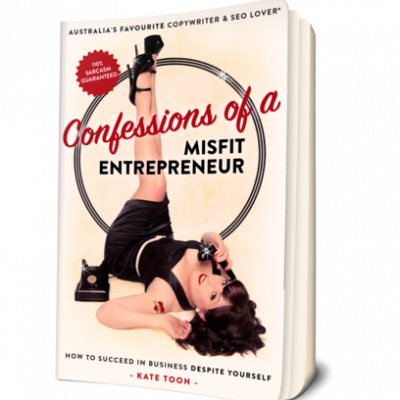 Tanja Gardner writes copy and edits books for heart-based business folk at Crystal Clarity Copywriting. 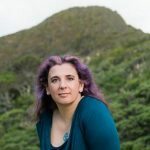 For more top tips about writing copy that people actually read, download her free guide from her website.